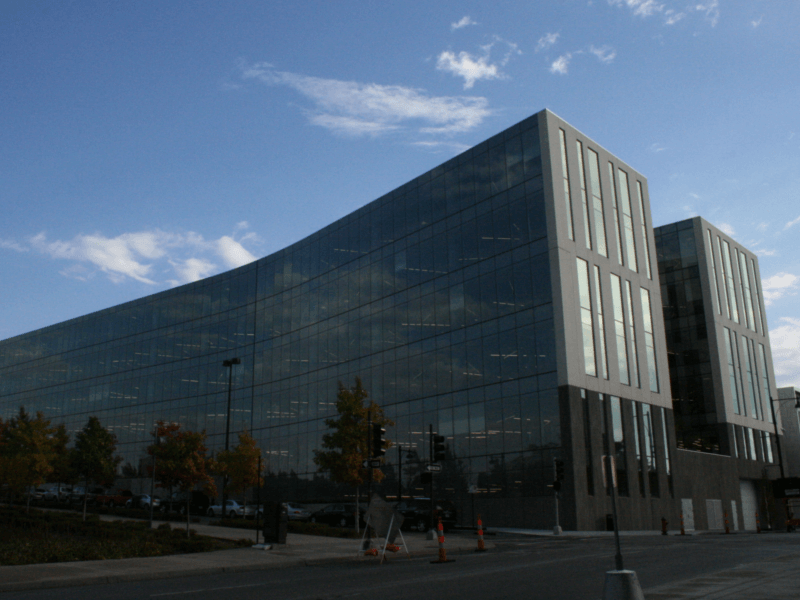 The JE Dunn Headquarters is a 200,000-square-foot, state-of-the-art office building in downtown Kansas City, Missouri. The building’s underfloor air distribution and extensive use of locally obtained materials helped the facility achieve LEED Gold accreditation. AVANT ACOUSTICS designed very functional yet cost effective audio-visual and sound reinforcement systems for several conference and training rooms. 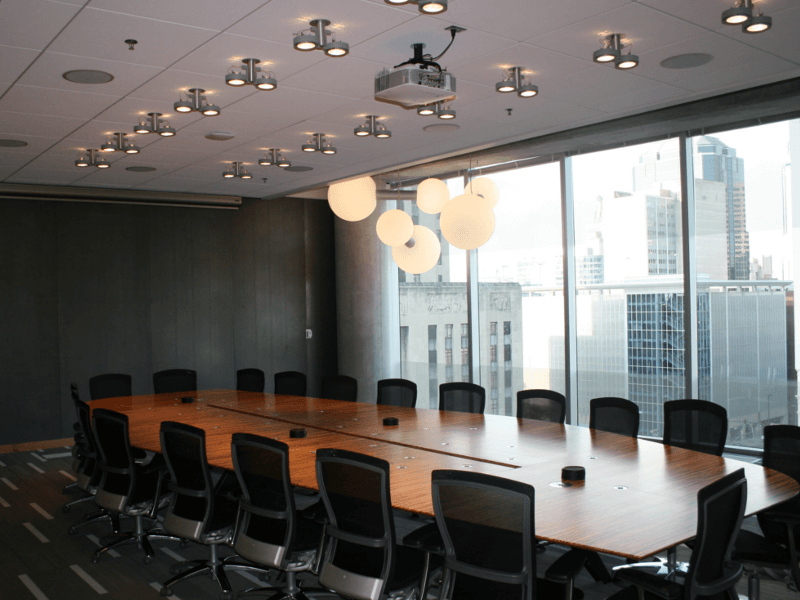 These systems include touchpanel interfaces, motorized projection screens, and integrated teleconferencing capabilities. 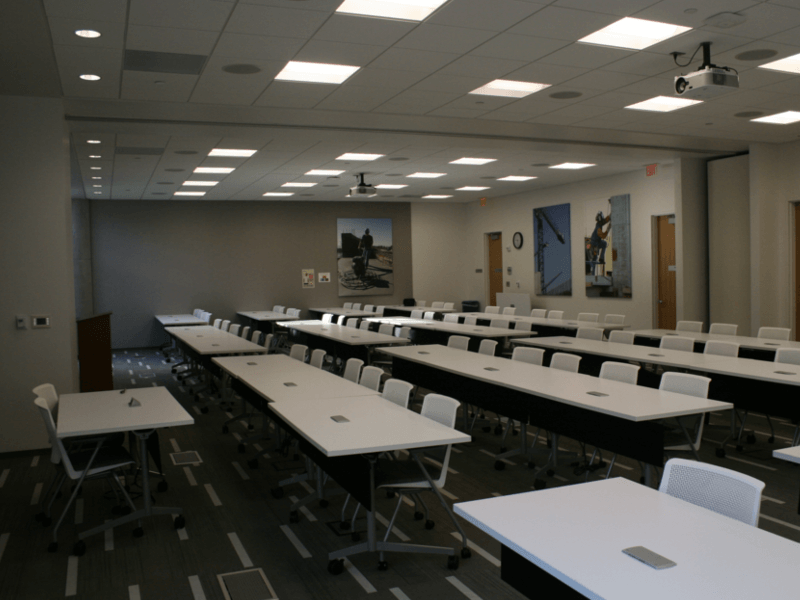 For JE Dunn’s tiered training room, AVANT created a truly collaborative learning experience with a custom control system, interactive pen display, and classroom software that enables both participants and the instructor to share and interact with content from any computer in the room. Reynolds, Smith and Hills, Inc.
RS&H has worked with AVANT ACOUSTICS since 1991 on over 20 airport terminal projects. We have found their consultation and design services to be a high-caliber asset on our projects. AVANT ACOUSTICS has been a continual member of our design teams, able to seamlessly coordinate and work with our designers and engineering staff. We particularly appreciate the benefit of AVANT ACOUSTICS’s detailed on-site commissioning services to ensure systems were installed as designed and that they operate at their maximum potential. When a project comes our way, AVANT ACOUSTICS is at the top of our list. The acoustical engineering for every project with AVANT as our consultant has been seamless. AVANT ACOUSTICS did an outstanding job with the sound and acoustics. Thank you for creating a space we can all enjoy! [AVANT's] ability to be patient and educate everyone was an outstanding trait during design. I also appreciate that AVANT takes ownership of and prescribes the infrastructure required to fully and thoughtfully install the systems they design. Looking forward to working with AVANT again in the future! I really enjoy working with AVANT ACOUSTICS because they provide quality design and extreme responsiveness. They are up-to-date on the latest technology and creative with their design approach. They are great listeners who provide solutions that address the client’s specific needs. "AVANT ACOUSTICS has always been a bright spot on our design teams. Their professional approach to acoustics and audiovisual communications incorporate all aspects of the architecture and interior design."